The fallout of Harvey Weinstein's years of sexual harassment in Hollywood continues to ripple through the industry. 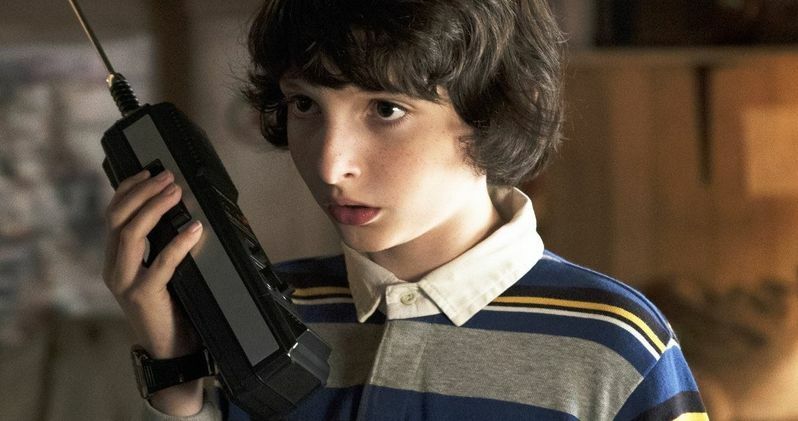 Now, 14-year-old actor Finn Wolfhard, best known for his roles in Netflix's Stranger Things and this year's horror hit IT, has fired his agent, Tyler Grasham, and his agency APA. The departure comes days after sexual abuse allegations were made against Grasham from a former actor turned filmmaker, Blaise Godbe Lipman. Finn Wolfhard was not himself the subject of any abuse, but the news of Tyler Grasham's sexual misconduct caused the young actor to part ways with APA, who have placed Grasham on leave following the accusations. "APA takes these allegations extremely seriously and is investigating this matter," was the the official response from the agency. The firm has enlisted an "independent, neutral investigatory" to look into the claims. This all started recently when Blaise Godbe Lipman detailed abuse he suffered at the hands of an, at the time, unnamed industry professional. The accusations were made on Facebook on October 15. Here's what he had to say about it at the time. Things get much dicier from there. Following the first Facebook post, Lipman then received a "poke" from Tyler Grasham, who is a very prominent talent agent in Hollywood. The two are not Facebook friends and they hadn't had any contact in a very long time. This prompted Lipman to make a second, more detailed post, on October 16, in which, he named Grasham as his abuser. "His name is Tyler Grasham, an agent at APA Agency. The positive thing about the attention the Weinstein scandal has had, is it's no longer about Harvey. The conversation has moved on to the size of this epidemic and how to dismantle the system that protects these predators. And it's given space and courage for victims to speak up, against their abuse. This is bigger than Weinstein. The 'poke' reminded me about Tyler's harassment after the ordeal. He told me I'd never work in this biz. He'd have his friends drunklenly call me and berate me. I didn't do anything at the time. I was young and desperately wanted acceptance within my industry. His threats felt very real. Although my initial reaction yesterday and today was to not make this about me, there's no better time. Tyler Grasham is still working at APA, where he's been representing children and teenagers for the last ten years since this happened. Tyler Grasham, under the pretense of a business meeting regarding potential agency representation at APA Agency, fed me alcohol while I was underage and sexually assaulted me. APA Agency has kept this man employed, working with kid actors. I find it incredibly difficult to believe they do not know of his predatory behavior, using his position within the company to prey on naive kids. Although his power in this biz is no where near Weinstein level, the collective power of agents is massive. I hope the light that's shed by the newly empowered victims who are coming forward, makes predators think twice. Change is slow but I hope this is a big jump start." This is just the latest in a string of similar situations that have resulted from the reveal that Harvey Weinstein, a formerly powerful figure in Hollywood, spent years sexually abusing women in the industry. This has caused other companies to part ways with those who have been accused of sexual misconduct and has encouraged many, like Blaise Godbe Lipman, to speak out against their harassers. According to The Hollywood Reporter, Finn Worlfhard has not yet signed with a new talent agency. However, given his status in the industry right now, he's likely to sign with a new agency very soon.